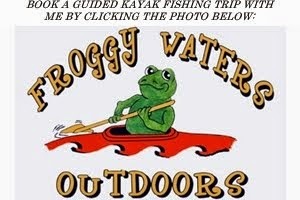 OK, kayak fishing enthusiasts. It is that time of the year again - the YakAngler Kayak Angler's Choice Awards. Go over to their site and nominate your favorites from the past year. Follow this link to go directly to the voting page. The top nominees will then be whittled down between October and November and winners announced live on Kayak Fishing Radio. Tight lines!